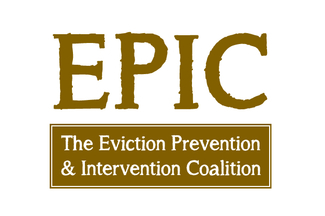 Thank you for your interest in volunteering for EPIC. Attorney volunteers will provide same-day, limited registration in Magisterial District Court 38-1-16 (Honorable Margaret Hunsicker, Norristown). If you are listed as a volunteer, please arrive for that shift by 12:45 PM; your shift will be over no later than 4 PM. If you are listed as an alternate, please reserve this time to cover for the shift in case of extra volume or cancellation; you will be notified as soon as possible if your services are needed. Please note that attorney volunteers are responsible for their own professional liability insurance in these matters. Please note: At these early stages of the program's growth, client participation may be unpredictable; thank you for your patience as awareness of the program grows! If you have not received training for this program, but are interested in volunteering, please contact Nancy Walsh ([email protected]; 610-994-3663) for details. If you have any other questions, or discover at any time you are are unable to cover your assigned shift, please also contact Nancy Walsh immediately. Thank you for your generosity and support!